Ricky Rogers is a complete idiot. Or at least that’s how he was described by Royal Society for the Prevention of Animal Cruelty spokesperson Michael Beatty after he posted a picture of him and a friend “surfing” a beached sea turtle on Facebook. Australia man truly is the new Florida man. The Frasier Coast Chronicle reports that Rogers and a friend were on Frasier Island when they spotted the turtle, which they mistook for a tortoise. 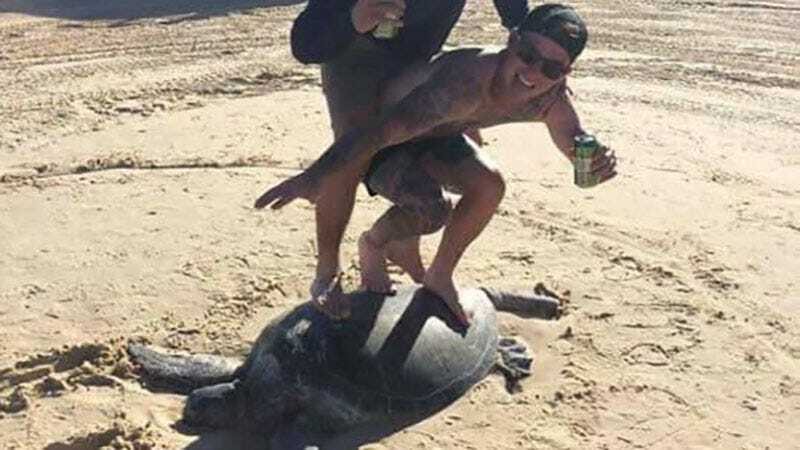 The photo garnered outrage on Facebook from non-dickheads who were concerned the animal could have been harmed by having two grown men standing on its shell. Queensland Parks and Wildlife Service are investigating the matter and both men could be fined up to $20,000 if they did the dumb thing it appears they did. 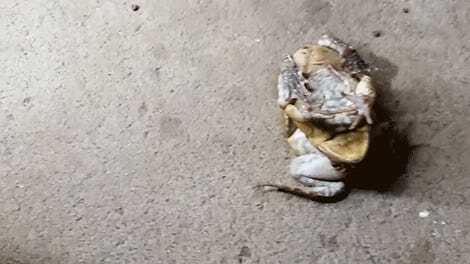 There’s a chance the turtle was dead at the time Rogers took the picture, which would make its appearance on social media morbid though not necessarily a punishable offense. We’ve reached out to Rogers and will update if we hear back from that idiot.